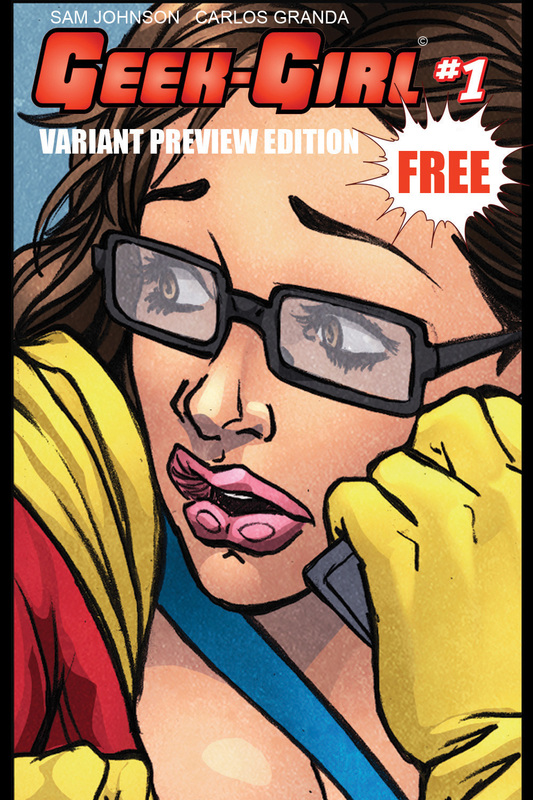 Now on the third printing of its #0 issue, Sam Johnson’s Geek-Girl – a.k.a. Ruby Kaye, a college ‘It’ Girl who lands a pair of super-tech glasses – has been building the character’s audience ahead of her full color mini-series’ release. The mini’s launch is on the horizon now and creator/writer Johnson felt this was the right time to unveil a preview of it. 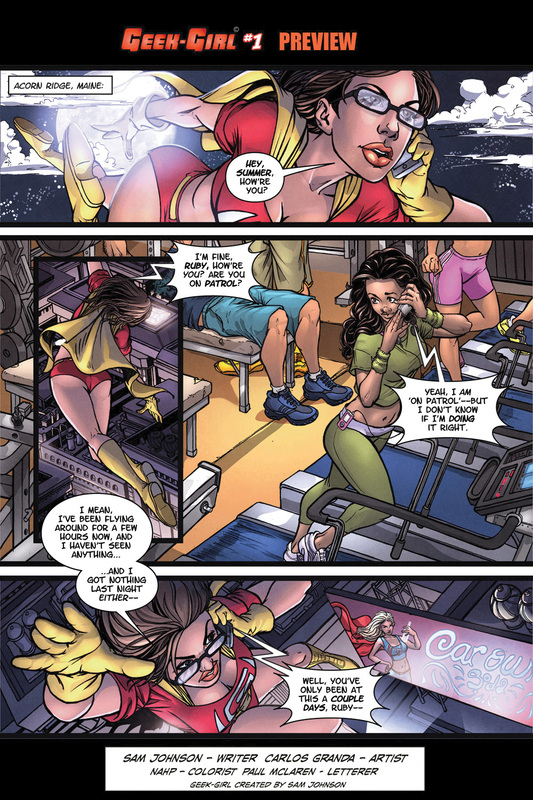 For those unfamiliar with Ruby Kaye’s story, “In Geek-Girl #0, Ruby kind of conned brainiac college geek Trevor Goldstein out of the glasses he’d invented [with the intention of using the super powers they endow its wearer with to win over a waitress he’d been crushing on]. She won them in a game of Strip Poker with Trevor and his buddy Jeff, after she and her friend Stacey got them drunk…” says Johnson.